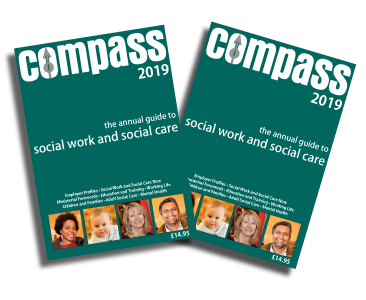 COMPASS, the annual guide to social work and social care is the highest circulating publication for professionals at all levels within the social work and social care sector. – visitors to our Jobs Fairs and other events. COMPASS gives you information on current practice, specialisms you may want to investigate, each stage of your career from initial study to senior management, and keeps you up-to-date with current developments within the sector.